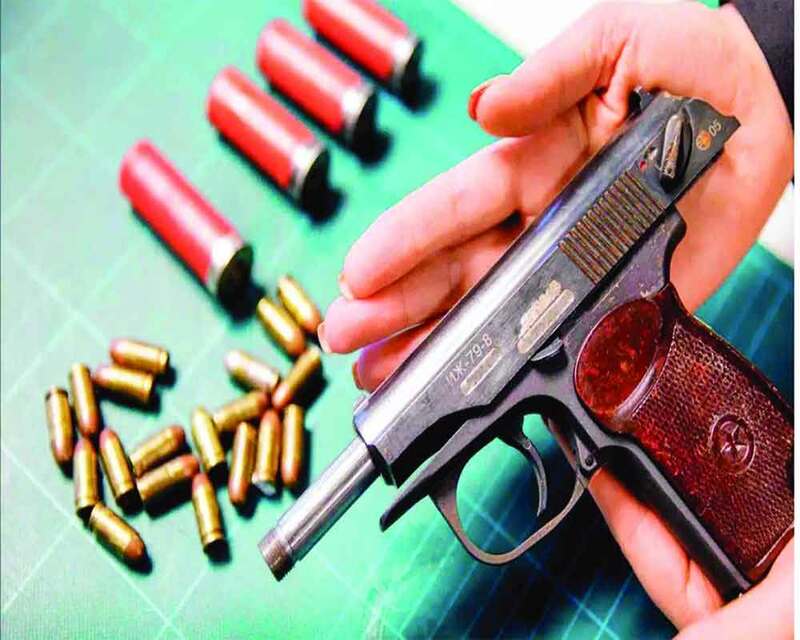 There are more than one billion firearms in the world, out of which 857 million (85 per cent) are in civilian hands, 133 million (13 per cent) in military arsenals and 23 million (two per cent) owned by law enforcement agencies, according to a report published by the Small Arms Survey in June 2018, written by Aaron Karp, senior lecturer at Old Dominion University, Virginia, US. What is alarming is that India ranks second with 71.1 million arms after the US with an estimated 394 million. The global stockpile has increased over the past decade, largely due to civilian holdings, which grew from 650 million in 2006 to 857 million in 2017. “India has a lot of firearms, but from global perspective, it ranks at mid level in terms of rate of ownership. Unlike the gun culture in the US, which gives its citizen the right to own firearms, India, after independence, has been more successful in controlling the ownership of firearms, which has worked well for the country. The biggest problem is the illegal firearms,” Karp says. The latest National Crime Record Bureau’s report highlights that around 3,775 people were murdered in India by firearms out of which 3,453 deaths were due to unlicensed firearms and only 322 died from legally owned, registered arms. A total of 1,06,900 pieces of ammunition and 56,516 firearms were seized across the country that year, out of which only 37,116 arms were unlicensed/improvised/crude and country-made. Only 53,929 cases were registered under the Arm Act, 1959, concentrated in northern States. Uttar Pradesh has the maximum number with 27,189 arms cases followed by Madhya Pradesh with 8,019 and Rajasthan 5,757 arms cases. These arms include weapons AK 47/56 rifles, pistols, carbine, revolver, guns and rifles. Whether bought legally or illegally, licensed or unlicensed, for safety, sports or wrong reasons, with an increasing number of people registering for guns and also taking the illegal route to own a katta, the rising gun culture in India is having a huge fallout. “When you own a gun, you are showing the world that you are more powerful than others. In Rajputs, it is a status symbol — if you own a gun, you are complete. But this status and power is misused. When you carry a gun, you feel you are indestructible and invincible. It is a way to keep your shortcomings hidden. Gun means God, you take the life of another person in your hand, bring him to his knees, and convinces them to do anything. It is more powerful than money,” says Anuja Trehan Kapur, criminal psychologist and advocate who owns a .37 Caliber Nirbheek, a light-weight weapon designed for women. Dr Ranjana Kumari, director of Centre for Social Research, agrees. More than protection, owning a gun is a status symbol in India, she feels. “Gun symbolises power which is misused. People get it in the name of protection but the fact is, very few people carry it with themselves all the time for their safety. A lot of people from the minority and middle class groups are trying to get the gun legally or illegally and the moment you start arming people, you are increasing the chances of them committing a crime. Crime has risen due to the illegal production, ownership and distribution of weapons. This has also led to the emergence of criminal gangs. The gun lobby is a huge economic stint in the system and it should be nabbed and controlled on time,” Kumar explains. Just like crime evolves, the gun culture has evolved too. The history of India's gun culture dates back to the British era when many Government-owned gun factories were operated in Bihar's Munger and Madhya Pradesh’s (MP) Khargone and Dhar. These gun manufacturers supply the arms and ammunition to the armed forces during the First World War. The Indian Government after Independence granted licenses to 36 small-scale industries to produce firearms. When the India-China war broke out in 1962, the Munger Gun Factory supplied samples of 410 bore Muscat to the Defence Ministry. After the war got over, these factories were shut down four decades ago, leaving hundreds of workers unemployed who took the illegal route to manufacture arms as they knew no other work. To earn a living, they started an illegal business by making country made pistols — kattas or tamanchas. Cut to 2019, the art of arms manufacturing has been not only preserved by this class of workers but also carried forwards by their present generation. They can now even make duplicate copies of modern rifles like AK-47, you name it and they can make it for you. These illegal arms manufacturers have built their factories either in forest area or residential complexes where it is difficult to locate such activity. In Ardhana Village near Meerut, UP and Mewat, Haryana, there are many illegal arms manufacturing units. After frequent raids of illegal firearms rackets operated inter-State in these areas, a senior Delhi Police officer revealed that many illegal manufacturing units have hired skilled labourers from Munger to make illegal weapons. They would procure the raw material from Munger and assemble the country made weapons like single shot firearms, sixers, pistols, single barrel gun, double barrel gun, semi-automatic rifles resembling INSAS and AK-47. You name it and the manufacturers will make it for you whichever type of firearm you want. From goons, Maoists, terrorists to petty thieves, snatchers and criminals, these illegal arms are much in demand and are known for its quality of craft. The price of these weapons varies according to their make, outer look and raw material used. The country made single-shot pistol, also known as katta, can be procured in between Rs 3,000 to Rs 7,000 depending upon the make and material (rod/barrel) used. While a pistol or a revolver costs in between Rs 15,000 to Rs 25,000. Other weapons like semi-automatic rifles including the AK series can cost anything in between Rs 30,000 to Rs 50,000. People would demand illegal arms which continue to be available for sale in bulk at much cheaper prices in Delhi-NCR, Haryana, Punjab, Rajasthan, UP and Nepal as well. The Capital has become a transit hub for arms smuggling and criminals using them. The areas in Delhi, where the arms have majorly been supplied, are Alipur, Bawana, GT Karnal Road, Prashant Vihar, Rohini, Najafgarh, Jaitpur, Badarpur, Gazipur, Anand Vihar, Vivek Vihar, Seemapuri, Mangolpuri, Madangir, Nand Nagri and Jafrabad. The sale of illegal weapon is going on blatantly as arms peddlers smuggle guns and ammunition in scooters and bikes making it difficult for the Delhi police to nab the culprits and burst the racket. The Delhi Police’s Annual report for 2018 highlights that the problem of illicit firearms and their use is becoming worse with each passing year. The number of criminals arrested under Arms Act saw an increase of 66.61 per cent, with 1901 cases in 2018 as compared to 1141 in 2017, and 745 cases in 2016. The number of cases registered with illegal firearms has seen a 60.92 per cent rise with 1540 cases in 2018, as compared to 957 cases in 2017, and 658 cases in 2016. The number of recovery of illegal firearms in Delhi has increased to 37.94 per cent with 1905 cases in 2018 as compared to 1381 cases in 2017 and 902 cases in 2016. With such a large number of seizures of illegal arm and ammunition, it is not only helping the State police to bring down the gun violence and insurgency but also nab smuggling of arms across India. Be it stringent licensing norms which has made the process difficult and time consuming or petty criminals and those seeking revenge, the illegal arms are in huge demand because of these two reasons. The license of the gun and ammunition comes with greater accountability, liability and responsibility. Thus the officials not only check your background for previous criminal record and cases but also your psychological traits. “It is very important that the gun goes to the right person who is mentally trained and has a strong personality. A gun can only be taken it in your own hands when you have your hands are made for that and your personality and mind is well trained. From the psychological point of view, owning a gun gives you a kick and you find yourself above average. A weak personality who believes in doing good to others will not carry or own a gun. They will even surrender the gun that they have in the family or fear that they might kill themselves out of depression or kill the family members or others for revenge. A person, who can take risks and consider themselves above all will opt for owning a gun,” Kapur says. Even those who have traits of rage, anxiety, depression or a narcissist would be risk factor. “We all have a bit of narcissist and inferiority complex that comes with emotional instability, paranoia bordering on predatory. It is difficult to assess the psyche of a person in a few rounds of interview and authorise them with the gun license. People also bribe and use the power of politician and others easy way out. But for the common man, the important thing is to build a strong personality. Being a woman, I have traits of emotional instability, but I had made my personality so strong that I got my gun license in just two hours. They kept on testing me and tried to create an ambush during my interview but I kept a calm profile,” Kapur tells you. It is easier for women to get license which the men in the family take advantage of. “Women are also using guns but mostly people take licensed under the name of their wife or girlfriend because women get license easily — for self defence. There was an incident that took place in Kanpur where women, who were housewives and didn’t even know how to speak properly, had applied for a gun license,” Kapur shares. The psychology of men getting a gun will be different from the psychology of women. “With women, gun is connected with safety but for men, it is connected with violence. A man’s identity lies with the gun, take that away, their power to extract and extort, and commit crime goes away as well. Women are victims more than the offenders. There are exceptions like Indrani Mukherjee. But only two per cent of women would be owning a gun,” Kumari says. Kapur points out that the idea of owning a gun comes from two factors — genetic and environmental influence. “Some are genetically driven and passed on to the child by their fathers with the wrong role-model. Some are born in violent and criminal environment. When it comes to gun culture, there exists male patriarchy as boys from their childhood days are gifted gun toy to play with, which is later replaced by the violent mobile games and then influenced by films and the environment around them. The urge to see and hold a real gun arises and they either get it legally or illegally,” Kapur points out. Karp points out that in India, due to poverty and legal restrictions, most civilian guns are katta which are not registered. “It is not uncommon that members of families don't even know that there is a gun at home, they would not know how many of them are lying in the store or cupboard. Another part of the problem is older and antique weapons, sometimes from World War Two or earlier, and often are not registered,” Karp says. What can really help in this situation is door-to-door polling. Karp notes that public polling on sensitive subjects like guns, asking people how many arms they have, is neither easy or perfect. “But experience in Africa, Europe and Latin America shows that polling is the best way to figure how many guns are out there, including unregistered guns,” he says. Seeing the increasing cases of arms smuggling, the Ministry of Home Affairs has taken a big step to include the names of all arms licence holders— new or old — in the national database and issue the owners a unique identification number (UIN) to keep a track of authorised private gun holders, many of whom are often found involved in gun violence. With effect from April 1, 2019, any arms license without UIN shall be considered invalid. The decision has been taken by exercising powers under Section 44 of the Arms Act, 1959 (54 of 1959) by amending the Arms Rules, 2016. These rules will be called the Arms (Second Amendment) Rules, 2018 which will make more difficult for the citizens to own a gun. The amendments will decline arms license to persons whose antecedents are not bona fide. Under the new rules, prospective gun owners will have to show they have been trained, only carry firearms in holders and secure them in a "knocked down" condition in gun lockers at home. Even air guns will require an arms license. Moreover, existing licensee having multiple licences shall have to file an application for the grant of a single license in respect of all firearms held by him or her under his or her UIN to the concerned licensing authority. For women’s safety, there are licensed electronic disabling devices like taser guns and lighter gun as well. The police need to do more than just law enforcement, Karp says. “One of the most effective tools is a firearms amnesty, where people, without the fear of prosecution for holding an illegal gun, can come forward and either surrender their guns and ammunition or get them legally registered. Simply shifting firearms from the illegal pool legalised ownership will help greatly to reduce gun violence,” Karp advises. The Special Cell of Delhi Police busted an inter-State gang running a gun factory in Delhi. In simultaneous raids carried out in Delhi and Meerut by the Special Cell sleuths, five persons were arrested and an illegal factory of sophisticated country-made guns was busted. It led to the recovery of 85 semi-automatic pistols, 50 live cartridges, 40 magazines and several unfinished/semi-furnished firearms in the raids. Two gun peddlers were apprehended by a team of the Special Cell when they were on way to Haryana from Delhi for selling pistols. During the search of their vehicle 11 pistols were recovered from beneath the driver’s seat, while 52 pistols were recovered from a secret cavity that was created in boot of the car by covering the space for stepney. The Delhi Police busted an illegal arms manufacturing factory in Karawal Nagar area in North-east Delhi and arrested a 41-year-old gun-runner who was involved in manufacturing and supply of country made arms to criminals in Delhi and its peripheral areas. The accused, Iqbal, had setup an illegal arms manufacturing unit in his house from where the police has recovered arms manufacturing material, two semi-automatic pistols, three country made pistols along with 16 live cartridges and six spare magazines from his premises. During interrogation, the accused revealed that his father Bundu Khan was manufacturing illegal arms at his house and he learnt the technique from him. He started repairing the arms of the criminals and gradually started manufacturing the country made pistols. Iqbal has supplied more than 25 carbines, 50 semi automatic pistols and more than 100 country made pistols to various criminals in Delhi and UP.